Brian is an entrepreneur, design engineer, and researcher with a passion for designing innovative medical products and assistive technologies to improve quality of life and enhance quality of care for under served populations. Over the last 12 years Brian's focus has been on learning how to quickly and efficiently develop commercially viable person-centered evidence based medical technologies from bench to bedside to help meet the unmet medical needs. Brian has participated all phase of going from bench to bedside and back; from conducting pilot clinical studies to explore the safety and effectiveness of treatments for people with mental illness, to the design and development of therapeutic devices, and ultimately founding a medical device company that launched a commercial product based on technology transferred from a university which resulting in equity financing and product sales. 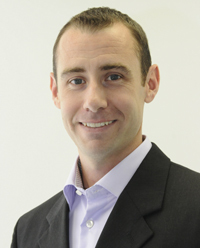 Brian has a B.S.M.E, M.S.M.E, and a Ph.D. in mechanical engineering from the University of Massachusetts Amherst. His research lead to presentations at the American Occupational Therapy Associations (AOTA), The International Society for Autism Research (ISAR), the Nation Collegiate Innovator and Inventor's Association (NCIIA), and the BioMedical Engineering Society (BEMS), as well as peer reviewed publications and patent applications. The diverse work of his research has resulted in the ability to seamlessly translate and move between many different fields and domains. Currently, Brian is a Manager at the Brigham Digital Innovation Hub at Brigham and Women's Hospital. He is an innovation strategy manager and leads the Open Innovation Studio where he helps innovators at the hospital advance their early stage ideas. Before his current position Brian was the founder and CEO of Therapeutic Systems, a startup with the goal of improvement mental healthcare through innovative sensory based medical technologies.